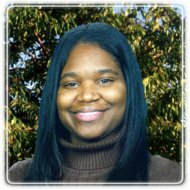 St. Clair Shores Therapist: Tameka Arnold - Therapist 48080. Send A Message To Tameka. I am a Licensed Master Level Social Worker in private practice. I am dedicated to empowering my clients with the skills needed to tackle their obstacles and manage the stressors they are enduring. I provide therapuetic and supportive services to children, adults and families experiencing behavioral difficulties, emotional concerns and family discord. In addition, I provide guidance and education to those individuals and families that desire to improve their overall functioning and to strengthen their family system. I have been a Social Worker for 21 years and a Therapist for 14 years. I have numerous years of experience working with abused/neglected children and their families within the child welfare system. In addition, I have 11 years experience as a school Social Worker working with children who have Learning Disabilities, Cognitively Impairments, Emotionally Impairments, ADHD and Autism Spectrum Disorder. I offer guidance with the IEP process, Behavior Intervention planning and Social Skills groups. I am committed to promoting individual growth and change that will improve the quality of life for children, adults and families as well as enhance the community in which we live.